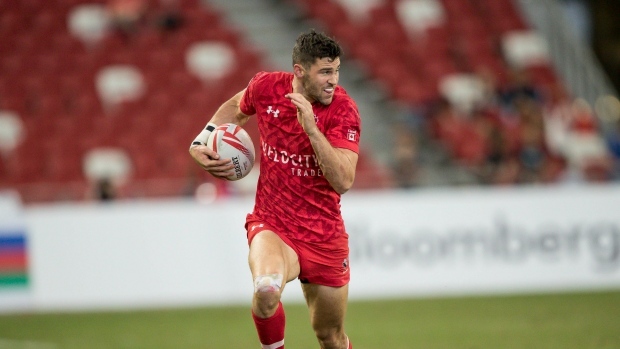 CAPE TOWN, South Africa — Justin Douglas became Canada's all-time tries leader with a pair of tries Saturday in a 28-7 win over Wales at the HSBC Cape Town Sevens. Connor Braid and Pat Kay scored ties in the Scotland loss. Braid and Matt Mullins also touched down against Australia, which topped Canada's group at 3-0-0. Sunday's Cup quarterfinals are South Africa versus Scotland, Fiji versus Spain, Australia versus New Zealand and the U.S. versus England.